The never ending debate over salt’s impact on our health continues — and a recent study reveals how scientists research its effects and what that says about their conclusions on its health impacts. You may not know it, but there are two deeply entrenched camps of popular thought among scientists regarding the consequences of the human consumption of salt, according to the Washington Post. One group of scientists warns the mineral additive is damaging our bodies. The other group claims that the majority of us are completely fine consuming it and that we need it for a healthy lifestyle. So which is it? And why isn’t there a definitive answer about the health impacts of one of the kitchen’s most essential ingredients? In part, the disagreements come from the way researchers conduct their studies about salt. An analysis of 269 of academic papers on salt and its health effects revealed that neither group is examining the full scope of the issue, as Science Daily reports. Instead, scientists claiming that salt is a danger to public health write their papers from an insular perspective, citing almost exclusively research that draws the same conclusions. The same is true of those who claim there is little or no danger relating to typical amounts of salt consumption. Researchers from Columbia University and Boston University “found that the published literature bears little imprint of an ongoing controversy, but rather contains two almost distinct and disparate lines of scholarship.” The papers were 50% more likely to reference research that supported a similar conclusion than those that drew a different one. Of the 269 papers analyzed, 54% supported thinking that populations with a reduced salt intake are healthier, while 33% did not support that hypothesis, and 13% were inconclusive. However, there are studies that suggest the opposite, indicating that too little salt consumption can throw the body into dangerous unbalance. In one meta-analysis of 25 studies in the American Journal of Hypertension, researchers found that consuming the low levels of salt can actually increase the likelihood of death. And that the current governmental guidelines may actually be too low for most people. Still, there is strong evidence pointing to salt’s harmful effects, including increasing blood pressure (BP) and damaging organs and tissues, according to Nature. Elevated BP accounts for 62% of strokes and 49% of coronary heart disease, so there are profound health implications in the overconsumption of salt, as Web MD reports. As such, the prevailing attitude toward the additive is less is best. The United States Dietary guidelines recommend eating less than 2,300 milligrams of sodium a day, or roughly one teaspoon, according to the Washington Post. Despite the warnings, it is estimated that 95% of the world’s population consume more than the advised amount (on average, Americans ingest 3,500 milligrams a day). Some scientists argue that such a discrepancy is indicative of a vast underestimation on the part of the government. 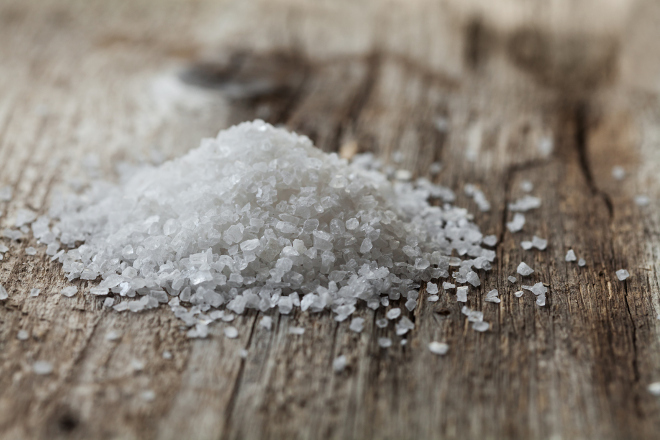 The gap between the suggested intake and the actual amount of salt consumed may show that humans need more salt, these scientists claim. Regardless, there is no clear answer to the debate, partly because it is so difficult to determine what constitutes a “typical” or “natural” level of daily salt. It does seem clear, however, that moderation is the safest bet, as the rates of mortality and cardiovascular disease are lowest somewhere in between unusually low and unusually high sodium diets. To be sure, regularly seeing a doctor to monitor blood pressure and other health indicators is an essential part of staying healthy and safe. From checkups to chiropractic therapy, members of SingleCare can search a massive online database to find the best practitioner for his or her needs. Members pay only for necessary treatments, saving an average of 48% on medical care, no matter their level of healthcare coverage. You might even say that SingleCare is shaking things up.